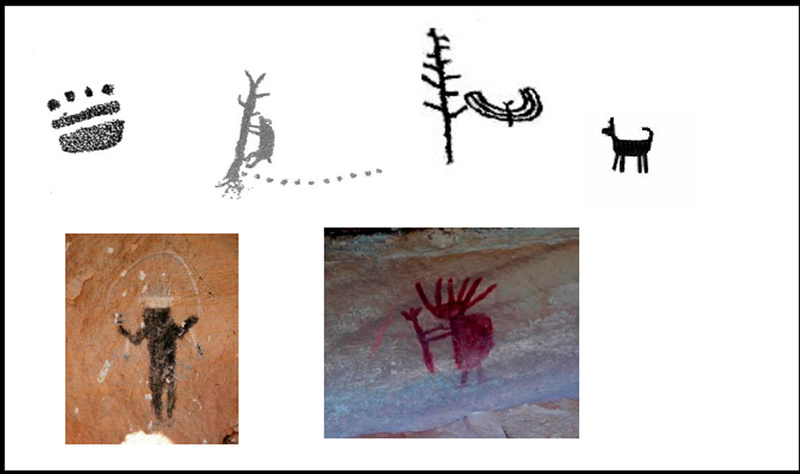 Mythograms for the Ute include the bear paw, the bear and tree, ‘Cosmic Tree’, and creator Sinavi (creator wolf). For the Navajo, there are paintings of the Mountain Way Ceremony and the Yei God, Ghaan’ask’idii. Drawings and photographs by Carol Patterson.